You are correct! He was outside just before he went home! One of the pieces of evidence that is used in debates about the location of Lee Harvey Oswald at the time of the assassination is Captain Will Fritz’s handwritten notes about the interrogation of Lee Harvey Oswald. An argument that has been around since the assassination is that Lee Oswald was on the steps in the famous Altgens-6 photograph. One thing that is not debatable is that Cpt. Fritz’s notes do not support this argument. What is important to understand is that there were two FBI Agents in the room at the time of the interrogation. They filed reports as well as Fritz who filed his own report. When examining these reports, you can clearly see that Lee Harvey Oswald did not claim to be “out with Bill Shelley in front” at the time of the assassination as some would have you believe. In examining this, one can say that Fritz omitted that Oswald said he was out front with Shelley. Some might even draw the conclusion that this is evidence that Fritz was in on it and ignored Oswald’s claims to have been out front. This does not hold water. FBI agent James W. Bookout was also in the room and present during the interrogation of Oswald. His report reads, interestingly enough, closer to Fritz’s notes than Fritz’s report does. Fritz’s notes, like Bookout’s report, reads strikingly similar in the following order; 2nd floor coke when officer came in; to 1st floor had lunch; out front with Bill Shelley; left work. All in the exact same order as Fritz’s notes. It is important to note that during this interrogation, Oswald had not made reference to eating lunch with two other employees in the depository which comes into play in another questioning session, quite different from the order he expressed here. Mr. BALL. On November 22, 1963, the day the President was shot, when is the last time you saw Oswald? Mr. SHELLEY. It was 10 or 15 minutes before 12. Mr. SHELLEY. On the first floor over near the telephone. Mr. BALL. Did you ever see him again? Mr. SHELLEY. At the police station when they brought him in. Mr. BALL. Did you see him in the building at any time after 12? Mr. BALL. Did you at anytime after the President was shot see Oswald in the building? Mr. BALL. Did you at anytime after the President was shot tell Oswald to go home? Mr. BALL. Did you tell anybody to go home? Mr. BALL. You didn’t tell anybody to leave the building at all? It is very clear, that Mr. Shelley was not with Lee Harvey Oswald on the steps of the School Book Depository Building before, during or after the assassination of President Kennedy. The line of questioning would be consistent with the story that Oswald was trying to spin to the investigators. That he went outside after the assassination, met with Will Shelley outside of the building and decided to go home because Shelley had told him there would be no work for the rest of the day. Usually, when confronted with testimony that refutes that Oswald was on the steps, accusations arise that witnesses were intimidated into saying things at the time of their testimony before the Warren Commission. Thankfully, we have eyewitness testimony given by Mr. Shelley, and many other witnesses within hours of the assassination through depositions. Please consider that there are no witnesses in any deposition that place Oswald outside at the time of the shooting. Not a single one. But let’s focus on Mr. Shelley and his statements to the police. The police had two statements taken by Mr. Shelley. The first statement was about his location at the time of the assassination and his actions in that time period. Based on his Warren Commission testimony he was in the police station when Oswald was brought in. It appears to me based on the affidavit, that they were questioning Oswald and he had attempted to indicate that Shelley had sent him home. Since I do not have access to who was present when Shelley gave his statement, I am making the assumption that the discrepancy between Captain Fritz’s report and FBI Agent Bookout is simply explained by the fact that Fritz determined Shelley had not interacted with Oswald because he had this affidavit. I have not found any evidence that Bookout was present for Shelley’s interview or affidavit, so his report contains the information that Oswald claimed to have gone outside with Shelley after the assassination. In neither affidavit does Shelley place Oswald outside with him at any point in time. It is abundantly clear that in the second affidavit the focus of the investigation had changed. They had begun investigating Lee Harvey Oswald’s story that started in the first interrogation and the claim that Oswald made about being sent home by Shelley, when he went outside after the assassination. It is clear from his statement that Lee Harvey Oswald was not with him after noon. It is also clear that he did not send him home. Sadly, when it comes to researching the Kennedy Assassination, many researchers find a piece of evidence without researching it completely. This appears to be the case with Cpt. Frtiz’s handwritten notes on the interrogation of Lee Harvey Oswald. 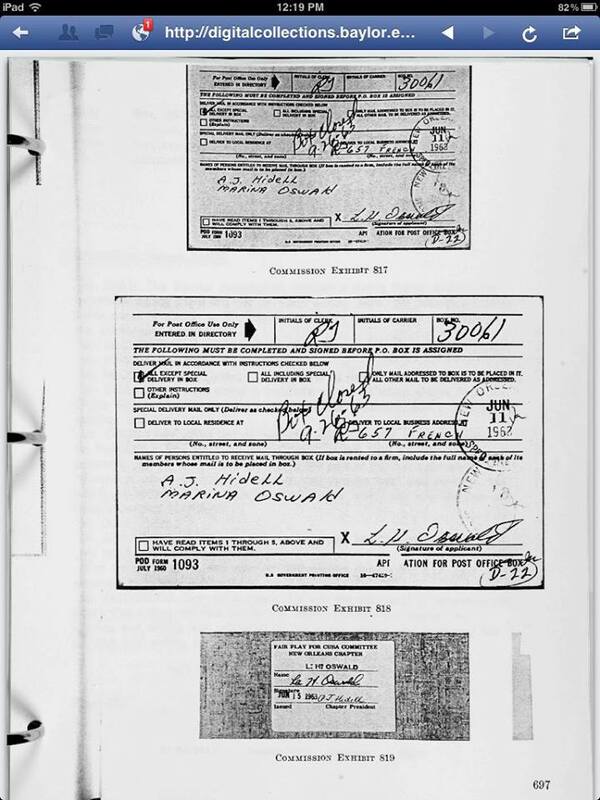 When looking at the document, in context, with other primary sources, it does not hold water that Lee Harvey Oswald claimed to have been outside during the assassination. Too much misinformation is being spread in people’s zeal to promote Oswald’s innocence, and other such theories, without checking the context of the information. It is making it more challenging than ever to find the truth with so many outlandish incompletely researched claims circulating on the internet. Adam Gorightly, Kerry Thornley’s biographer, read my blog, and has weighed in on the debate between myself and author Judyth Vary Baker. Baker has never answered my very direct question about her claims about Warren Commission witnesses and Jim Garrison’s investigation. I will let Adam Gorightly’s work speek for itself! It’s a great read by an absolute expert on Kerry Thornley. Judyth Baker has made the following claims about Eric Rogers in her book as well as in various Facebook groups. Oswald did not use the mailbox assigned to 4905 Magazine St. (True. Ms. Baker demonstrated that there was a mailbox assigned to that apartment in our debate on Facebook). My research below demonstrates that the postal workers, who were informants to the FBI, knew Oswald was using the wrong mailbox. This is not what the historical record demonstrates as being true. The FBI interviewed the Assistant Secretary and Treasurer of New Orleans Public Service INC. John E. Hevron. He very clearly informed the FBI that on May 9, 1963, services were requested to be turned on at the “lower center apartment at 4907 Magazine St.” (2) This is a VERY specific statement about what apartment received the services. There were two front apartments, 4911 and 4907. 4905 was the back apartment that stretched across the center of the house. If the utilities were turned on at either of the two front apartments or the rear apartment, it would have been noted as such. 4905 had its entrance at the right front of the house, when looking straight at the building. Mrs. Jessie Garner advised that the building was comprised of three apartments: 4911 was her residence, 4907 was Eric Rogers’ residence, and 4905 was the Oswald’s residence. (3) In addition, there was a second apartment identified by the FBI as “the lower rear apartment” occupied by Mrs. L. N. Rico. This may very well be the reason why Oswald began using the 4907 address as his mailing address. Since that apartment was unoccupied from May until Mid-July, this helped prevent the mixing-up of his mail with the lower “rear apartment.”(4) Clearly from the FBI report it is evident that Mrs. Rico also resided at an apartment labeled 4905 and it would make sense to use 4907’s mailbox since initially it was unoccupied. A witness who is on the record is family friend Mrs. Evens. Oswald showed up on her door unannounced on May 9th. Her testimony indicates that she did not recognize him because she had not seen him in years. Her testimony was that Lee Harvey Oswald wanted to rent an apartment from her, but that she had none to rent to him. She then contacted a friend who had apartments, but Oswald did not like the apartment that he had viewed. Unless Oswald had a crystal ball, there was absolutely no way for him to know that neither landlord would have apartments to his liking. It does not make sense that he would have met Mrs. Garner the day before to set this whole scenario up when he could have jumped off the bus, and rented it on the spot. But, MORE damaging to Mrs. Baker’s claims that the power was on, was this: Mrs. Evens viewed both apartments, 4907 and 4905 with Lee. She knew that Marina Oswald was coming on May 11 and she advised Oswald to give Mrs. Garner the money to turn on the power. (7) She would NOT have done this if the power were on. This being the truthful account of Mrs. Evens, it also means that Baker did not defrost any refrigerator since the power was not on in the apartment. There is no doubt that the utility company had to enter the specific apartment to turn on the utilities. It was not either of the two front apartments, 4907 and 4909. It was the lower apartment located at the right side of the residence. Mrs. Evens would not have had Oswald give Mrs. Garner money for the activation of the utilities if the utilities were already on! And there is no evidence that Oswald met Mrs. Garner prior to renting the apartment so that he could have Mrs. Evens, a woman he had not seen in years, bring him to Magazine St. to pretend to find the apartment. The fridge was ALREADY defrosted as there was no power on at the apartment. Lee Harvey Oswald did have 4907 stamped on the leaflets he was handing out in front of the New Orleans Trade Mart on August 9th, 1963. However, this was not the only time that Lee Harvey Oswald handed out his leaflets. The USS Wasp was berthed at the Dumain St. Warf from June 13, 1963, until June 20th, 1963. (9) While the ship was there on June 16, Harbor Patrolman Girod Ray was contacted by an enlisted man who complained that there was a person handing out materials on the docks near the ship. Officer Ray located the individual passing out the leaflets and requested that he leave the docks. According to the patrolman, the individual argued that he did not need permission to do this as he was exercising his rights as a citizen. (10) Officer Ray informed the individual that he needed to move on, and that he needed specific permission from the Board of Commissioners to distribute the literature. The man moved on without incident. Further primary evidence that Oswald handed out leaflets not connected to 4907 Magazine street are the leaflets found at the harbor by the 112th Military Intelligence Corps Group around the first week in June 1963. Not only did members of that military unit find leaflets at the port, but they found them earlier, around the first week of June at Tulane University. This would have been at the the same time Oswald picked them up from the Jones Printing Company. Upon finding the leaflets at the port, one of the leaflets was sent to Washington D.C. on June 18, 1963. It is well documented that Oswald used the name Alek J. Hidell as an alias upon his return to America from the Soviet Union. Oswald had Marina sign the name Hidell to his FPCC membership card on June 15th, 1963, within days of his distribution of the leaflets at the port. One question that this raises is the following: If Oswald was truly trying to keep his family protected, why would he use her to sign the card? Why not use Ferrie, Bannister, Martin, or his close confident with whom he shared his operation with, Judyth Baker to “protect” his family. His use of his wife would indicate he did not have anyone else working with him. Ms. Baker alleges that Oswald, with the help of Guy Bannister, paid for Eric Rogers to live at 4907 Magazine St. Mr. Rogers did not move into 4907 Magazine St. until mid July. Apparently, Oswald began his leaflet distribution the first week in June, and did not need Rogers. He did it again without Rogers help in mid-June when the USS Wasp was in town so clearly he did not need Eric Rogers to protect him. Eric Rogers was not necessary. In his initial leaflet distribution, Oswald used an alias and used an incorrect P.O. BOX. There is NOTHING about his initial use of the leaflets that was accurate enough to trace ANYTHING back to him, when simply looking at the leaflet. (15) So it is clear that nothing necessitated Oswald needing Eric Rogers or anyone else to protect his family. The fact is that the digits are incorrect, and that makes the ability of anyone to trace his leaflet distribution back to him less likely. Oswald did not have a Post Office Box 30016. He did have a Post office Box 30061. Let’s look at the Post office Box number 30061. Oswald made his first payment for this Post Office Box on June 3, 1963. (16) This was the day before the leaflets were completed at the Jones Printing company (17). On that same week that the 112th Military Intelligence Group found a leaflet posted at Tulane University with A. J. Hidell printed on the leaflet. Further examination of the forms related to the P.O. BOX demonstrates that Oswald was being deceptive about where his actual street address making himself untraceable. Oswald moved into 4905 Magazine Street the week of May 9, 1963. He took out this P.O. Box on June 3, 1963. He had been at 4905 for almost a month before he took out that P.O. Box. As you can see from the Post Office Box, there were three people allowed to pick up mail from it: A J Hidell, the name he stamped on the leaflets he distributed in June, Marina Oswald, and Lee Oswald. What makes this form even more important, however, is that it helps establish that this P.O. Box was not linked at all to 4905 Magazine Street. Looking at the form more closely, one sees that the local business address that Oswald links the box to is 657 French St., an address that he never resided at. In his typical pattern of deceptions, Oswald did reside very briefly with his Aunt and Uncle Murrett at 757 French St., but that is not what he places on the form. Based on the evidence above, Oswald had no need at all for Eric Rogers to reside at 4907 to provide cover. 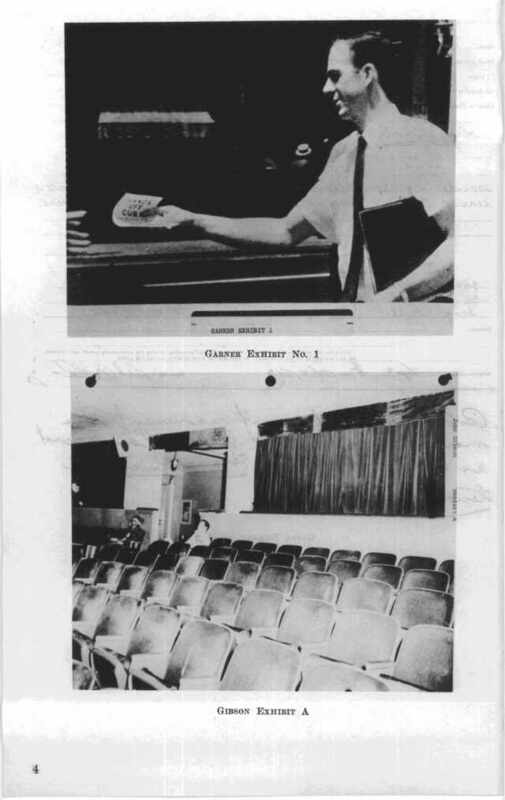 He distributed leaflets in the month and a half prior to Rogers arrival. He used an alias, he stamped an incorrect PO BOX on the leaflets, he used an incorrect street address on the PO BOX application, all to his knowledge, enough to keep people away from his address. What is essential for Baker to maintain her claims is that there must exist no evidence of leaflets with the Address 4905 Magazine St. Her story is dependent on Oswald “protecting” his family by using 4907 Magazine Street. Unfortunately for Baker, there was a leaflet that was found with the correct address, 4905 Magazine. This is NOT the behavior of someone who is trying to hide. For Ms. Baker’s story to hold its water- that Lee had told her all of this information about using 4907 as a front, there would be NO pamphlets bearing his correct address. In thinking about this pamphlet, that was glued to an “8 x 10” piece of cardboard. 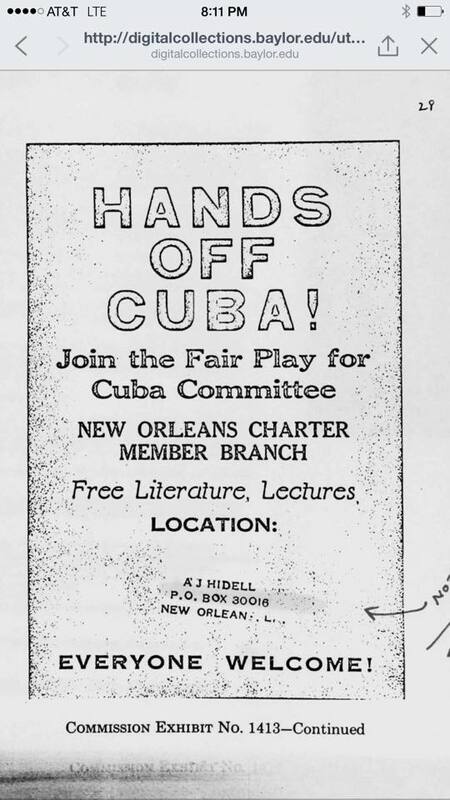 Why would Lee Harvey Oswald have one of his Fair Play for Cuba leaflets glued to a piece of cardboard? Oswald made this “poster” to display publicly on his front porch for the world to see. If someone is trying to protect their family from an operation, they do NOT display a poster on their from porch, with their address prominently displayed. Lee Harvey Oswald was certainly not trying to protect his family. It is clear that Oswald had stamped some pamphlets with the proper address, 4905 Magazine Street. Oswald had put these posters up on the porch of 4905 Magazine Street, identifying himself and where he lived. He was not hiding anything as Baker claims. It took one month for the FBI to link Oswald’s correct mailing address to the P.O. Box. Oswald’s name was on a secret mail opening program called HT-Lingual. He had been placed on the watch list for this program in 1959. (20) His mail was opened, and records were kept. 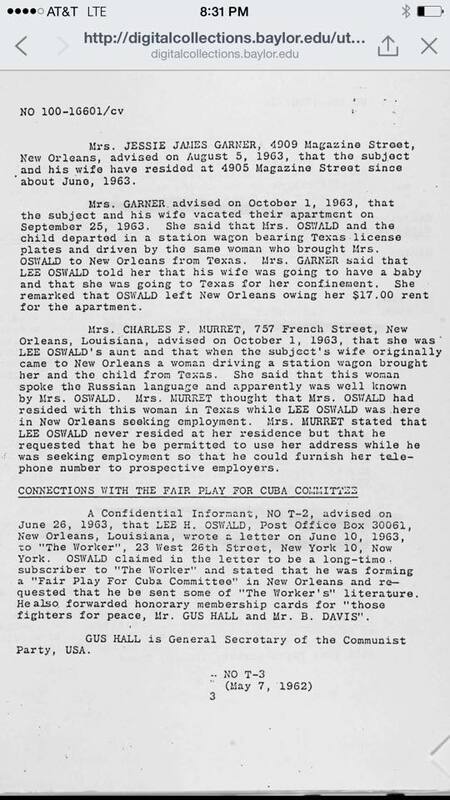 On June 26, 1963, Oswald send Fair Play for Cuba Committee Membership cards that he had made to Gus Hall of the Communist party. And from there, the connection to his residence was made by the government. As of July 1963, Oswald’s address was not a secret to the FBI. It did not matter if Eric Rogers lived at 4907 Magazine St, because the FBI knew that Oswald resided in that building, had his mail delivered to both the P.O. Box and 4907 Magazine St. They knew this all prior to Eric Rogers’ arrival in mid-July. Unfortunately for Ms. Baker, the owner of 4907-4911, Mrs. Gregory has a different story. She was interviewed by the FBI within days of the assassination, and she comes forward with the following information. There is no controversy about what apartment Oswald rented. It was very clear within hours of the investigation. He certainly was NOT paying rent for Eric Rogers on 4907 Magazine Street as Ms. Baker alleges without any documented proof. In making her case that Eric Rogers was living rent and utility free, Ms. Baker wants the readers to believe that it could not be the post office, the most likely place that mail would be forwarded from. The reality is that the Post Office was 100% aware of Lee Harvey Oswald, his residence, and where his mail was going. The FBI utilized postal employees as confidential informants. Two of these postal workers who delivered mail to the residence had this to say. That postal worker was very accurate about the type of mail that the Oswalds were receiving. NO T-4 said he observed a photograph of LEE HARVEY OSWALD and recognized him as the occupant of one of the apartments at 4905 Magazine Street. He said that he saw him on about three occasions and never had any conversation with him. It is entirely plausible that the post office forwarded the mail based in this information. Eric Rogers was unemployed. This was not for any other reason that he was collecting a pension. He was NOT a deadbeat. He had money, and he had no reason for Lee Harvey Oswald to be paying his rent. He was unemployed at the time because he could only make so much money during the course of the year or his income would be in jeopardy. (30) There is no evidence that Eric Rogers was anything less than an honest man. Ms. Baker provides no proof that Oswald paid for both apartments and the utilities a claim for which she has shown no primary source documentation in her book or on Facebook. This article provides a great deal of primary source documentation about the events around Lee Harvey Oswald and his Magazine St. Address. There is no primary evidence to support Ms. Baker’s claims. Presented here is a plethora of evidence that contradicts her assertions in her book and in her Facebook postings about Eric Rogers. Much like her claims about Kerry Thorney when faced with primary evidence her story does not hold up. My research into Kerry Thornley prompted his biographer to write an article supporting my research. Unfortunately, Eric Rogers will have no biographer to defend him. He was not involved in Oswald’s activities and no serious research into this could possibly support any claim to the contrary. Eric Rogers deserves better, just as much as Kerry Thornley. (22) Warren Commission Hearings Volume XVII Current Section: CE 826 – Copy of an FBI report by Special Agent Kaack, dated October 31, 1963. Well, the “Vindication for Kerry Thornley” post was my most read blog ever! Yet the response to my not-so-simple question remains unanswered: If Kerry Thornley was in California and Mexico from May 2, 1963 until September 4, 1963, how can he have possibly been seen by Judyth Vary Baker on May 8 and May 28, as well as picking up FPCC leaflets from the Jones Printing Company on June 4, 1963 as she alleges? Famed researcher Mary Ferrell, Districy Attorney Jim Garrison, and HSCA investigator Gaeton Fonzi all concluded that he was in California during this time frame. It was my hope that there would be some primary evidence to disprove what I have learned in my research. FIRST BAKER’S ENCOUNTER WITH THORNLEY: MAY 8, 1963. SECOND BAKER’S ENCOUNTER WITH THORNLEY: MAY 28, 1963. THORNLEY AND MARINA HAD AN AFFAIR? On May 28, 1963, Baker and Oswald witness Thornley going up the steps of the porch to his apartment at 4905 Magazine St. Lee becomes enraged because he suspects Thornley of having an affair with Marina. (3) There is no explaining how in twenty days, Thornley goes from not knowing Lee was back from the Soviet Union, to having an affair with an already pregnant Marina who had a small child at home. Ms. Baker now says that she never claimed that Thornley and Marina were having an affair! This is a complete contradiction to what she stated in the endnotes of her book. Her response below is true, that in the body of the book where she writes about the encounter she does not state that. However, her own endnotes very clearly state it. Upon reading this, it becomes obvious that her response to my blog Ms. Baker honed in on my statements about the affair. She claims in this response that she did “NOT” claim that Thornley had an affair with Marina. This is absolutely false as I demonstrated above! Her book’s footnote clearly states “We believed Marina and Kerry Thornley were having an affair, though Thornley always denied it.” There is no explanation for her response to my blog, other than a response on January 23, 2015 that states, “Lee and I believed Thornley was messing with Marina, though he denied it.” (6) Remarkably, Ms. Baker in the span of 48 hours, went from stating she did not make the claim, to changing her story to they were messing around. Ms. Baker is correct, my article does not give credibility to Harold Weisberg. As addressed in “Vindication for Kerry Thornley“, Weisberg wanted to prove Thornley was involved to the point that he had doctored photographs of Thornley produced to make him look like Oswald. Jim Garrison, who had used Weisberg to investigate did not find Weisberg credible because he did not prosecute Thornley for perjury for any reason other than Thornley met with Oswald in September, not in May or June as Ms. Baker would have her readers believe. Weisberg had this to say in 1994 about his chase to prove Thornley was in New Orleans, “In my New Orleans investigations, I got a very, very good reason for looking into Kerry Thornley. He exaggerated his associations with Oswald.” (7) So in 1994, it appears that even Weisberg admits Thornley spun stories. The spreading of these stories by Thornley served a purpose, to stir interest in his book about Oswald. Unfortunately for Thornley, this led him to perjury charges. 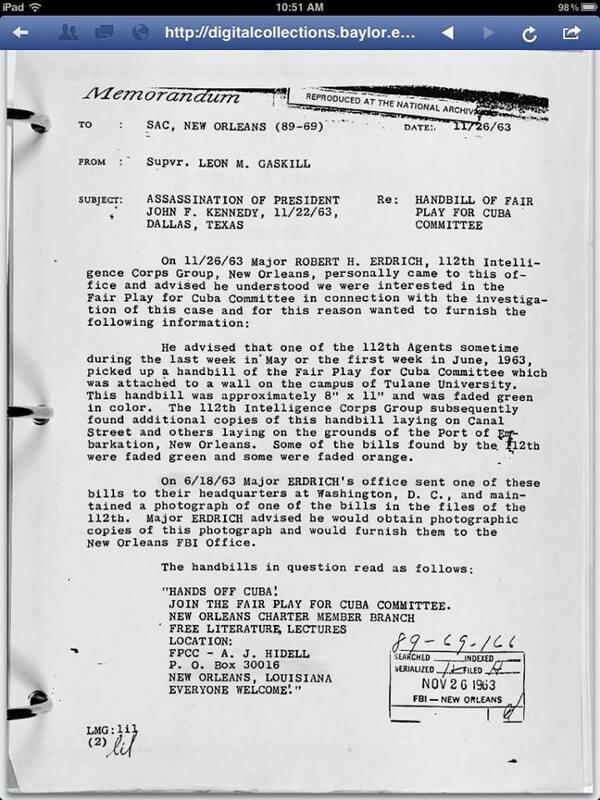 It is absolutely true that Douglas Jones (8) and Myra Silvers (9) employees of the Jones Publishing Company, never identified Oswald as the person who picked up the Fair Play for Cuba Committee pamphlets. Myra Silver first saw the man who called himself “Osborne” on May 29 when he placed the order. She saw him again on May 31 when he paid for the order. Ms. Silver saw “Osborne” once more on June 4 when he picked up the order. This cannot be since Myra Silver has been absolutely clear in all of her statements. A man calling himself Osborne, ordered, paid for, and picked up the pamphlets. The man who ordered the pamphlets is the same who picked them up. When Garrison was following up on the Jones Printing Company leads in 1967, he sent investigator Frank Meloche, Meloche who reports the same story that Silver stated to the FBI on December 4, 1963. It was the same man all along, but his report contains a new detail that was not in the FBI report. Baker’s claim that it was Thornley completely falls apart because Silver told Meloche that the person named Osborne, worked at the Riley Coffee Company. (11) Kerry Thornley did not work at the Riley Coffee Company, but Lee Harvey Oswald certainly DID! So we have three printing companies, at one where Silver identifies the man as working at the Riley Coffee Company using the name Osborne. At the second one, Anderson identifies the man as Oswald and using the name Osborne. Finally at the third one, Johnson identifies the man as being Oswald. Three printing shops, all with similar stories. Baker is wrong, Thornley was not there based on any of these witness statements. Looking at the statements of these witnesses there is more than enough evidence that it was Oswald. As of today, Ms. Baker has not produced any evidence that the manager saw anyone with Marina Oswald. There has been no evidence linked to the Warren Commission investigation indicating that any neighbor saw Thornley enter the Oswald residence. In addition, Jim Garrison never came to the conclusion that Ms. Baker states above. Quite the contrary, he investigated leads, and found that the only credible lead was in September of 1963. What Ms. Baker does in her response is to quote Joan Mellen’s book, A Farewell to Justice: Jim Garrison, JFK’s Assassination, and the Case That Should Have Changed History, pages 275-276, to make her case. This is a red flag, since Ms. Baker makes her own claims in her own book and instead of providing primary sources she uses another author’s work to respond to my questions. Above, Ms Baker is totally wrong by stating that there is a memo reporting that Mr. Schwegman had seen Thornley at Oswald’s residence. The Schwegmann Memorandum, which is stored on microfilm at the New Orleans Public Library, does not say this. That’s the danger of using another author’s work to make your case without looking at the source. This memo is a letter from John Schwegmann Jr., owner of the Win-Dixie grocery store. His wrote Jim Garrison to inform him that one of his employees, Myrtle LaSavia, claimed to have seen Thornley with Mrs. Oswald at the Oswald residence. (18) It was NOT a statement by Mr. Schwegman claiming to have seen anything or anyone at the Oswald’s residence, as Ms. Baker would have us believe. It was just him reporting what LaSavia had told him. 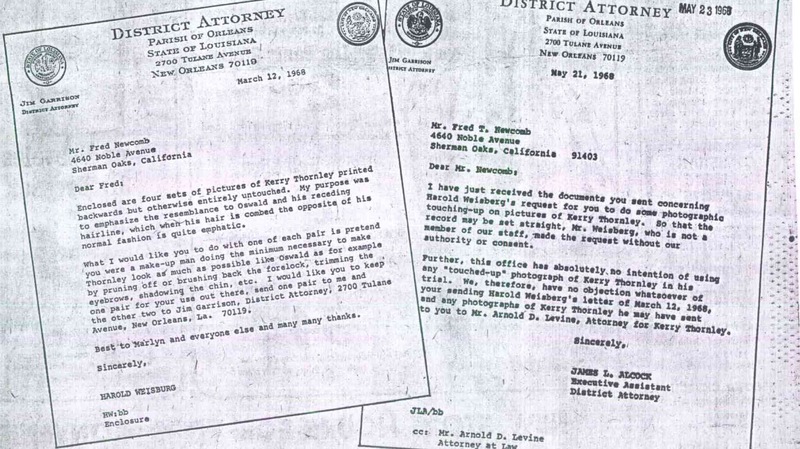 The next piece of Mellen’s research that Baker uses to support her claims is Mr. Sciambra’s memorandum to Mr. Garrison regarding his interviews with Mr. Tony LaSavia and Myrtle LaSavia. Those two memos are not available online. I have placed a FOIA request from the National Archives, and I will update my blog when they arrive. At this time, I suspect that these two documents give nothing more than neighborhood gossip on the part of the LaSavias, as Garrison did not use them as potential witnesses against Thornley. Garrison’s own investigators did not list the LaSavia’s as living anywhere near the Oswald’s residence. They listed the residents and the visitors to 4905 Magazine Street, but were unable to prove that, contrarily to Ms. Baker’s book, Thornley was seen at the Oswald’s house or with Marina Oswald. (19) (20) (21) In looking through these documents from March 4, 1968, it does not appear that Garrison found what the LaSavia’s reported to be credible, since they are not on the March 4 list as important by his investigator. Baker makes the following statement directed at me implying that witnesses are being rejected by me. (5) Judyth Baker, Facebook, JFK Evidence Detection, January 21, 2015: 1:28 AM EST. (6) Judyth Baker, Facebook, JFK Evidence Detection, January 23, 2015: 3:49 AM EST. (12)Warren Commission Hearings, Volume XXII Current Section: CE 1411 – FBI report dated December 3, 1963, of interview of John I. Anderson at New Orleans, La. (13) Warren Commission Hearings, Volume XXV Current Section: CE 2546 – FBI report dated November 25, 1963, of interview of Charles Hall Steele, Jr., at New Orleans, La. (CD 75, p. 267). (17) Judyth Baker, Facebook, JFK Evidence Detection, January 22, 2015; 10:21 PM. The Kennedy assassination and the documents related to it have so many stories. Some real, some fake. It is sometimes hard to see the forest through the trees. This story is about someone who befriended Lee Harvey Oswald who claims to have ridden around in Carlos “The Godfather of New Orleans” Marcello’s Automobile, to have met Guy Bannister, and to have partied with David Ferrie. (1) In 1962 and 1963, New Orleans was an interesting place filled with all of the hatred and vitriol that the cold war could muster. There were Cubans who hated Castro, Americans who were pro-Castro, secret operations and infiltrators. And the 60’s. in all of its psychedelic drug induced free love, gave birth to one of the most interesting people involved in the whole Kennedy assassination. This person is Kerry Thornley. The question is, what did Thornley do after the assassination? It appears that he himself began to tell people about his novel. He admitted around New Orleans bars, like the Bourbon House, that he knew Oswald. When friends would introduce him to other patrons he would say, “Yeah, I masterminded the assassination.”(7) After researching Thornley, it is clear that he was not taking these types of statements seriously and it was this sense of humor and enjoyment of being a mischief maker, that eventually got him noticed by New Orleans District Attorney Jim Garrison who was made famous by Oliver Stone’s movie JFK. Jim Garrison called Thornley to testify before the Orleans Parish Grand Jury on February 8, 1968. Thornley was asked if he had contact with Lee Harvey Oswald while he was in New Orleans. (8) Thornley was one of the Marines who testified about Oswald to the Warren Commission in 1964. In both instances, 1964(9) and in 1968,(10) his testimony is 100% consistent. He did not speak to or see Oswald after he left the Marines in 1959. The founder of the religion Discordianism, the god of chaos, found himself in trouble. Jim Garrison charged him with perjury, but what ensued was a witch hunt of epic proportion. Jim Garrison questioned Thornley about a great many things when he was under oath. His investigation of Thornley was conducted with suspicious methodology. Thornley’s photograph was altered. The image was flipped and and an artist was asked to draw on the photograph to make Thornley look like Oswald. It was not until Thornley’s attorney stepped in that the photographs were disavowed by James Alcock, a member of Garrison’s staff. What is extremely important to this story is that Thornley was not in New Orleans for the bulk of the time that Oswald was in New Orleans. Kerry Thornley was travelling. Thornley was consistent in his Warren Commission testimony in 1964, in his Orleans Parish testimony in 1968, and in his 1976 affidavit that he was travelling to California, leaving in early May, and arriving in California on May 5, 1963. He stayed in California until arriving back in New Orleans on September 4, 1963. In 1977 the House Select Committee on Assassinations once again followed up on Thornley. 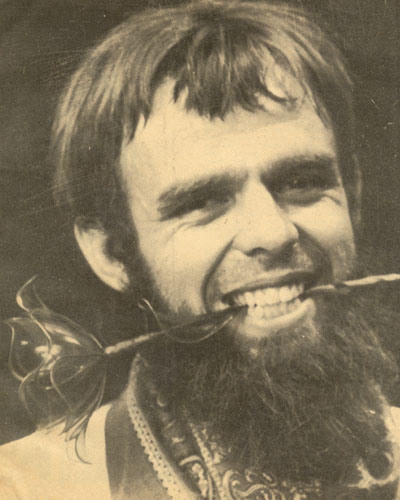 Famed assassination researcher Gaeton Fonzi investigated Thornley. His investigation in to Thornley concluded that he was not in New Orleans until September. His investigation concluded that Thornley’s story had been “corroborated” and was true that he did not have contact with Oswald during the time period that Oswald was in New Orleans. He concluded that there was little time for the two of them to have been in contact with each other. (15) Therefore we have three separate investigations, all placing Thornley outside of New Orleans from early May 1963 until early September 1963. Kerry Thornley has been wronged by Ms. Baker. He was not in New Orleans when she claims she and Oswald encountered him on May 8. He was not in New Orleans on May 28, when she alleges that Thornley was going into Lee’s apartment without knocking, implying that he was having an affair with Marina. And finally, Thornley was NOT in New Orleans on June 4, 1963 to have picked up materials for Oswald. Both Jim Garrison and Gaeton Fonzi both concluded that Thornley was in California visiting his relatives at that time. I am hopeful that Ms. Baker can explain how Kerry Thornley could have possibly be in two places at once. Great Article by my sister and brother in research!